We've shown you the rise in blush coloured wedding gowns, and now we're moving a little over the colour spectrum to gold embellished dresses. 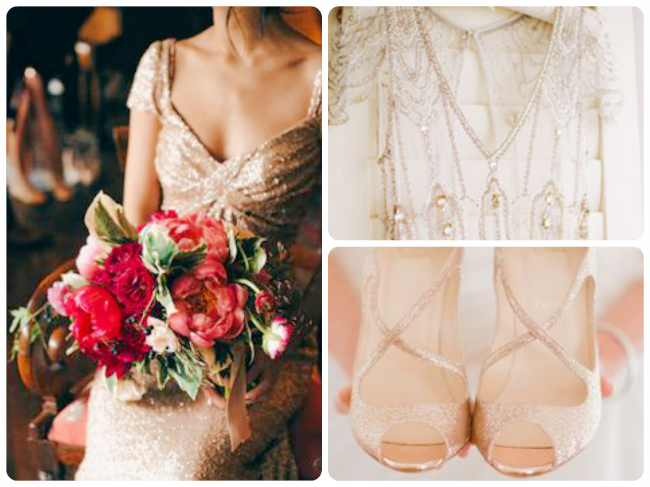 We're sure this has to do with the rise of Gatsby-esque styled events and we love this modern twist on 1920s glamour. The gold embellished wedding dress may be just that: a white dress with trimmings of gold beading. It can also be an entire wash of golden shimmer that works effortlessly into a night-time affair. What do you think of this trend? Love this trend? Here's how to make it work for you. A bit shy of a gold head-to-toe look? Find a dress with simple gold embellishments that will propel you right on trend without plunging right in. Love the metallic look, but have your eyes set on a white dress? 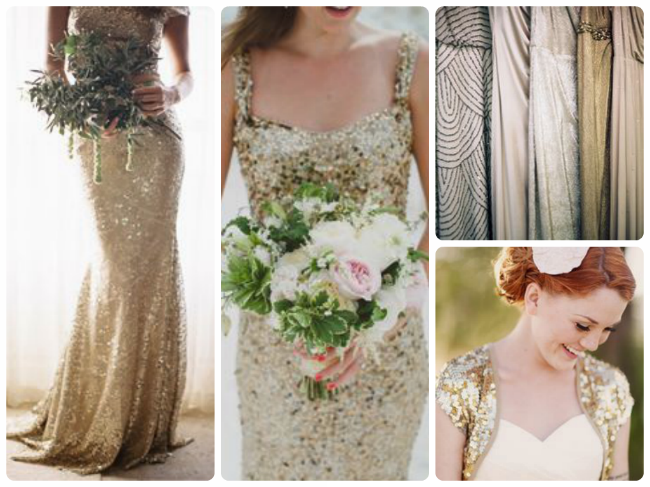 There's no problem there - dress your bridesmaids up in metallics for that gold fix.